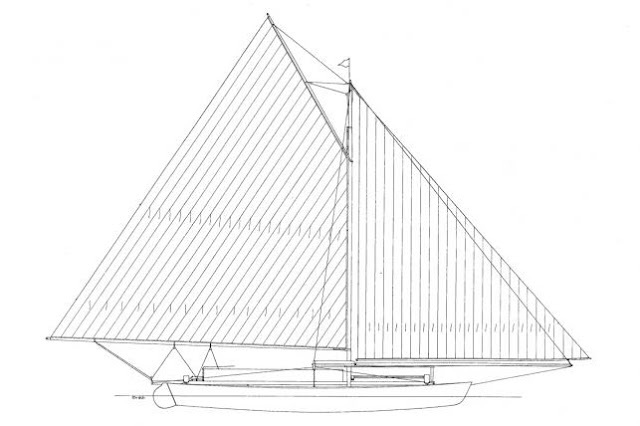 In 1876, Nathanael Greene Herreshoff designed the first modern catamaran: Amaryllis. 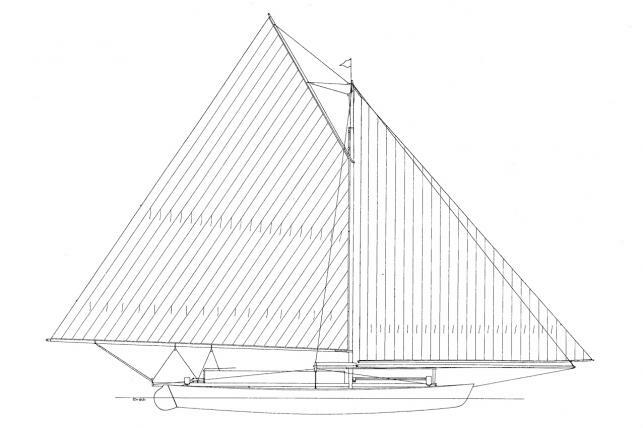 We do not have the drawings of this “double boat”, but it’s interesting to watch the design of his second “double-hulled sailing boat” John Gilpin (1877). 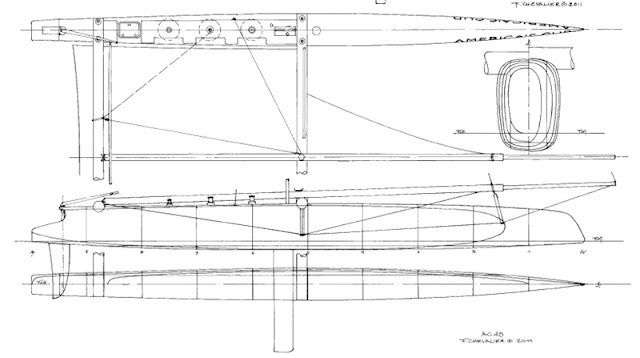 On May 1876, Amaryllis was launched from the Herreshoff’s Bristol yard. 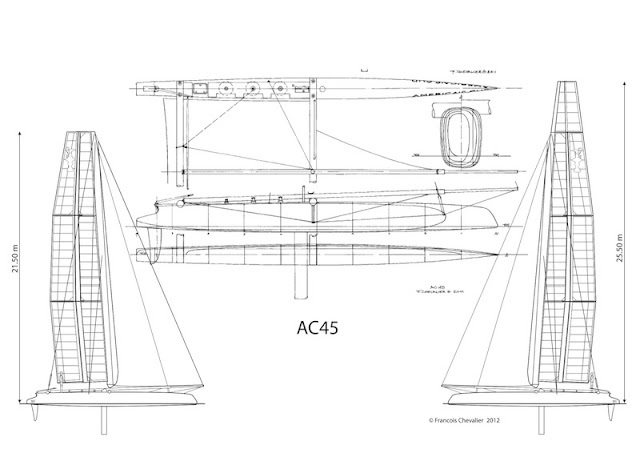 136 years later, on June 2012, the AC45 are racing in Newport waters, not far from Bristol! 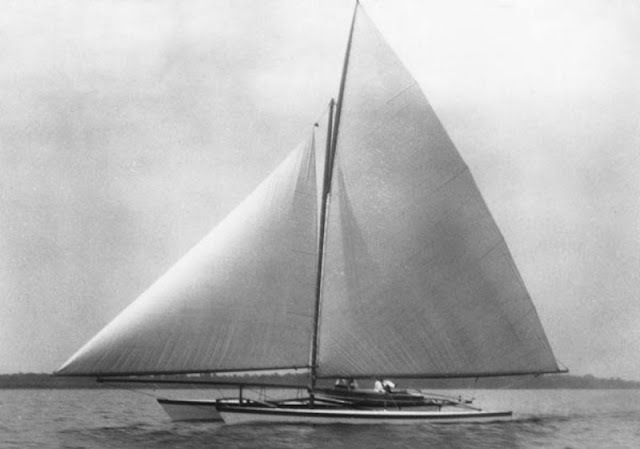 As we explained in a previous post on June 11th, catamarans are part of the America’s Cup history for many years even if it was necessary to wait more than 135 years to confirm this mysterious connection. ©University of California - Berkeley/Bancroft Library - Duster 1877, sailing off the San Francisco Yacht Club! 1876... 1877... 2012... What a premonition. The America's Cup legend is still underway! THE AC45 SAIL IN NEWPORT! In 1930 the America’s Cup abandoned New York harbor for the open waters off Newport. 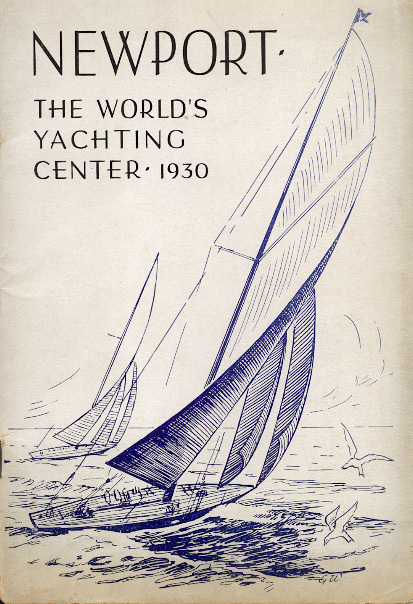 From 1930 until 1937, some legendary yachts raced there: Enterprise, Shamrock V, Endeavour, Rainbow, Endeavour II and Ranger. The legend of the fabulous and short-lived J-Class era of the Cup is forever attached to Newport. 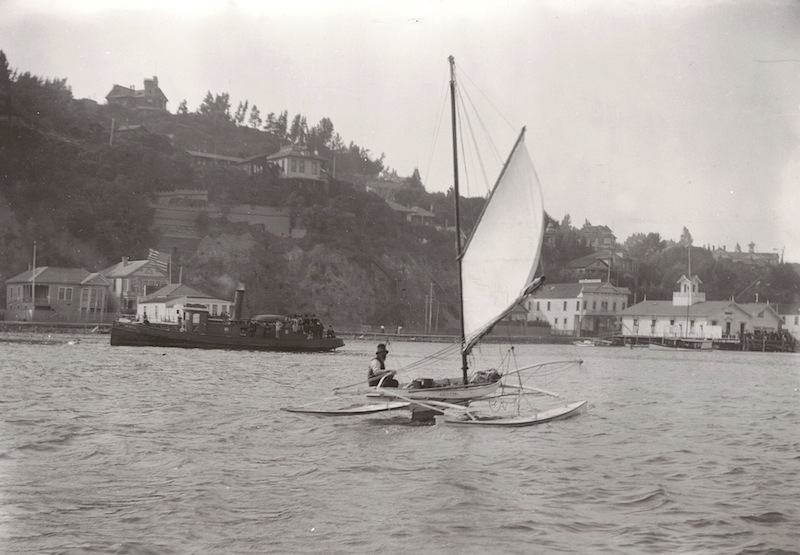 The race course itself was ideally situated off the city, just a few miles northwest of the Brenton Reef lightship and far removed from commercial shipping traffic. 1962: Australia made its first appearance in the Cup with Gretel skippered by "Jock" Alexander S. Sturrock . 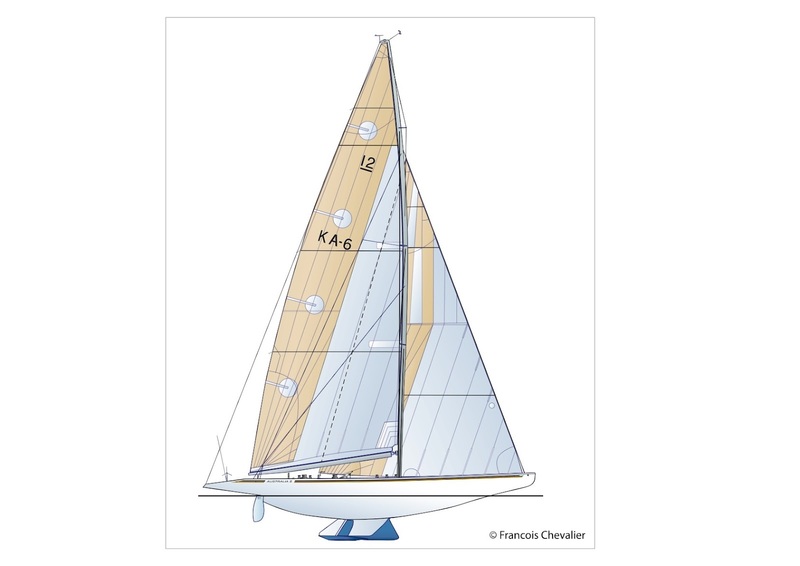 1970: The NYYC accepted the concept of holding challenger elimination trials, due in large part to the pressing demand of the French baron Marcel Bich. This first selection of challengers set Bich’s France against the Australian champion Gretel II. 1980: The challenger trials were growing with two Australian candidates along with Bich’s boat joined for the first time by the Swedes with Sverige. 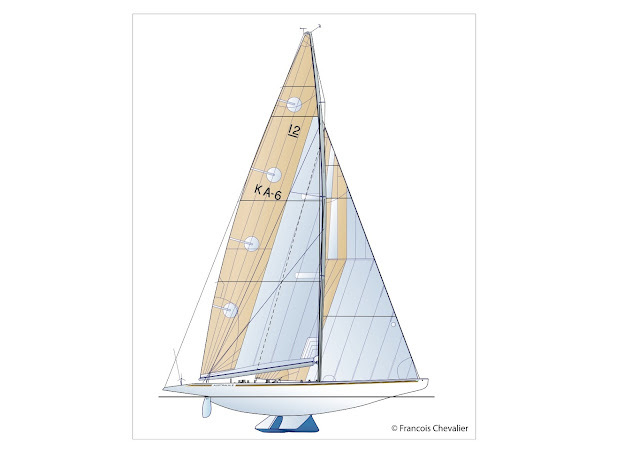 In 1983, Newport saw the birth of the Louis Vuitton Cup, which is given to the winner of the challenger selection series. This first Louis Vuitton Cup included three Australian candidates, one Italian, one Canadian, one English and one French. 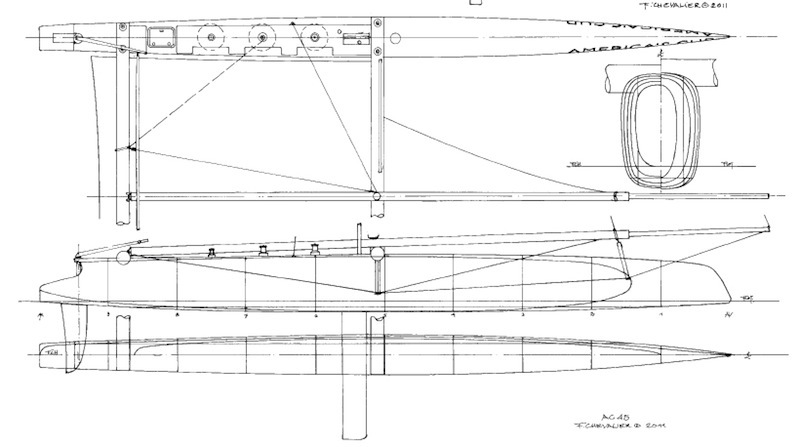 The Australian winner, Australia II, would go on to become the first challenger to win the America’s Cup. On September 26th, 1983, Newport would bear witness to the historic defeat of Dennis Conner who was not able to overcome the winner of the Louis Vuitton Cup, Australia II, skippered by John Bertrand. Fifty-three years later its first arrival, the Cup was snatched away, deserting not just Newport but also the United States. It would next be contested in the land ‘down-under’. 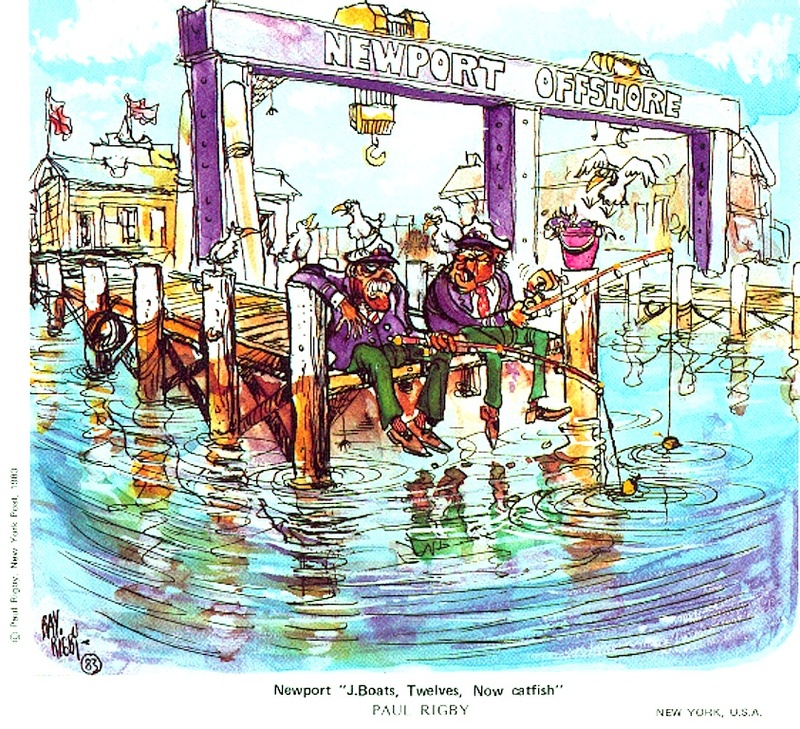 Everybody knows that Newport is a place that proudly welcomes the Cup! No surprise that the 2011-12 AC World Series stops here on June 2012 (Friday 22nd until July 1st, 2012). 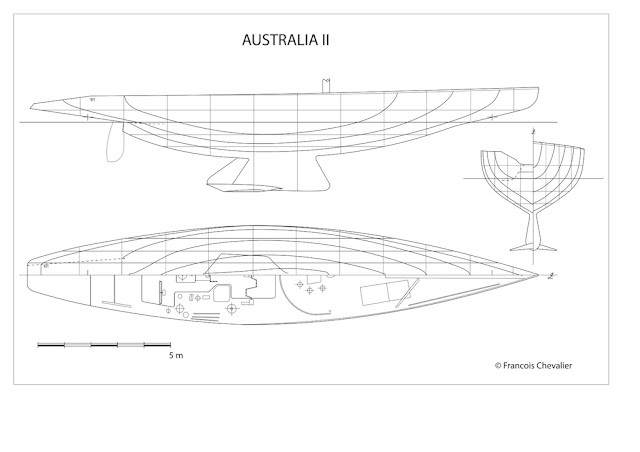 LINES & SAIL PLANS OF THE YACHTS ARE IN OUR BOOK : AMERICA'S CUP YACHT DESIGNS (J Class and 12-Meter).